When living in apartments for rent in Glendale, you may one day have a major craving for Ramen noodles and desire to go to a restaurant to fulfill your yearning and need. If you do not know the area that well, or you just moved into one of these amazing apartments, you might need help choosing a restaurant serving high quality Ramen noodles and other delicious food. 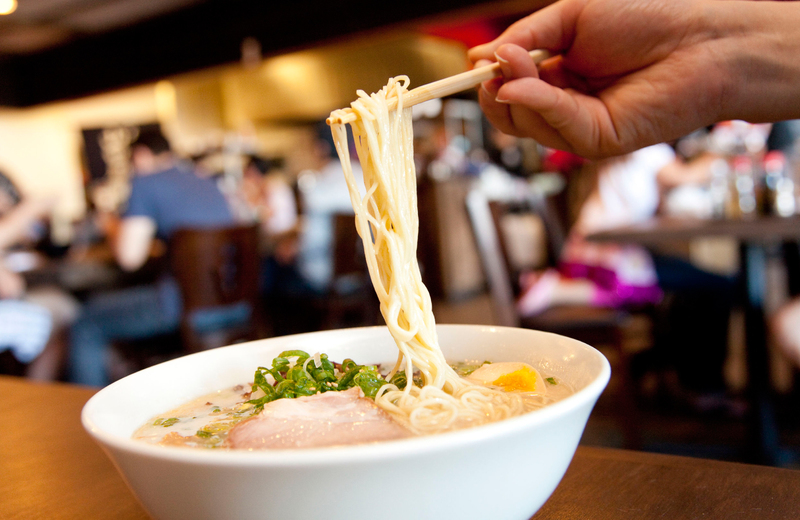 At the end of the day, Glendale CA is home to some of the best restaurants in all of California serving delicious Ramen noodles and other delectable dishes. You’d be hard-pressed to find better options than the ones we’re about to share with you today. We want you to have an amazing experience the next time you crave delicious Ramen, so we highly recommend checking out any or all of the restaurants we suggest below. Believe it or not, it’s never been easier to satisfy your cravings for delicious Ramen noodles. Forget about buying cheap store-bought packaged brands because they are unhealthy, taste nasty, and they aren’t very good for you either. Instead, choose the correct path and eat authentic Ramen noodles from some of the top restaurants in Glendale and the surrounding area. If you love Japanese food, you are about to fall head over heels in love with Kopan Ramen, one of the best Japanese restaurants in the Glendale community. This restaurant is extra special because not only do they serve delicious tasting Ramen, but they also have incredible combos, lots of tasty side dishes, salads, and other delectable foods that you will absolutely love and crave so you’ll want to come back for more. Most important of all, you’ll want to know your options when placing your Kopan Ramen order. They make it very simple because the ordering process takes place in four simple steps. For the first step, you have an option to choose the size bowl you desire. If you want a 12 ounce bowl of Ramen it will cost you $8 and a large 16 ounce ball of Ramen costs $10. It comes with meats, green onion, and dried seaweed. Second, you get to choose your level of spiciness. Your options include non-spicy, mild, spicy, and super spicy. So depending on how you like your food, you can choose your level of heat and spiciness to customize your dish and make it your own. The third step is all about adding protein to the meal. Your protein options include fatty pork, chicken breast, tofu, and chashu also known as pork belly. At this stage of the game, it’s time to pick your protein and move on to the final step. The fourth and final step is all about choosing your toppings. This is optional so it’s up to you whether or not you want to add these delicious foods. Their toppings include black garlic oil, egg, crunchy onion and garlic, shiitake mushrooms, bamboo shoots, bean sprouts, corn, spinach, red ginger, grated garlic, green onion, or dried seaweed. Other potential meals include their Kopan Signature Ramen dishes. You can go with the black Ramen, veggie Ramen, or Red Ramen which is very, very spicy. They also have draft beer on tap, steamed broccoli, extra soup, extra noodles, rice, kimchi, and delicious sides including sesame chicken, seaweed salad, shrimp pop, fried baby octopus, fried squid legs, and so many other great tasting dishes. No matter what, you cannot go wrong when choosing Kopan Ramen as your Japanese food restaurant of choice. They have a huge menu, a wide selection of just about everything you can ask for in a Japanese restaurant, and they offer it all at very affordable prices. This Ramen bar located in the heart of Glendale is known for their signature dishes that will truly have you craving their food over and over again. It’s definitely one of the newest and best places to go to get delicious Japanese food. As far as their Ramen goes, they have two options for their broth. You can choose the white Shoyu yuzu or the pork based tonkotsu. They also give you an option of three different toppings that include pork, chicken, and bulgogi. This is just barely scratching the tip of the iceberg because they also have a wide range of additional toppings to choose from. You can get fresh garlic, kimchi, bean sprouts, fish cakes, American cheese, boiled eggs, and corn if that’s what you like. Their Ramen is very inexpensive as well. The tonkotsu variety only starts at $9.75 per bowl. On the other hand, the white Shoyu yuzu begins at $10.25 per bowl. But if you load up on additional toppings, it’s definitely going to cost you more money so keep that in mind as well. AJ Noodles is a Vietnamese pho restaurant which is a little bit different than the Japanese varieties we’ve mentioned so far, but definitely worthy of your time and attention. Their traditional pho is made with a number of different protein options to fill your belly. You could add meatball, rare steak, crunch brisket, tripe, tendon, and shrimp to name a few of their best choices. They also have a vegetable bowl with carrots, asparagus, mushroom, and broccoli. They sell chicken teriyaki, eggrolls, summer rolls, dumplings, deep-fried pork chops, chicken Ramen, beef Ramen, pork Ramen, seafood Ramen, vegetable Ramen, or a combination of pork, beef, and chicken. As you can see, your options are amazing. Definitely give this place a try for delicious tasting Ramen noodles and other incredible Vietnamese delicacies that you’re bound to love.